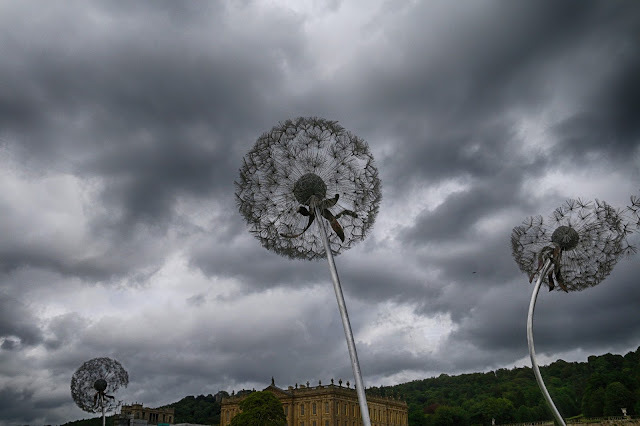 The first RHS Chatsworth Flower Show was designed to be a stunning showcase of some of the most innovative garden designers and products around at the moment. 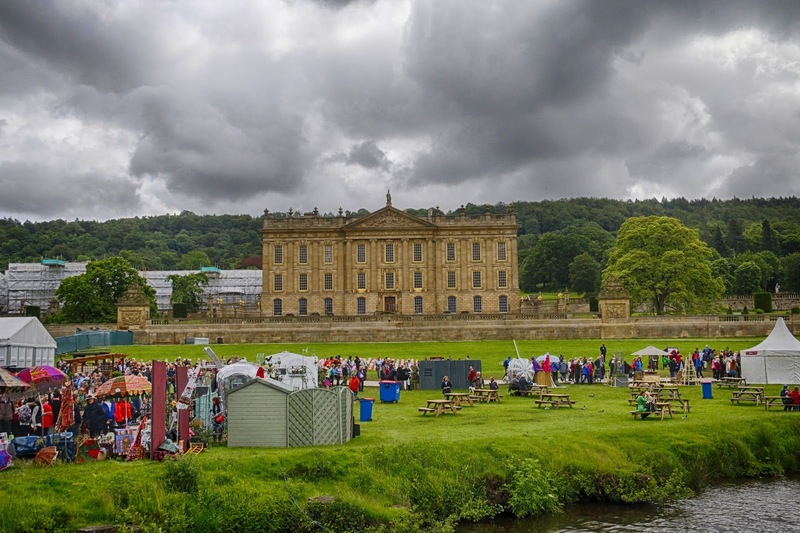 The backdrop of the magnificent Chatsworth House with the River Derwent running through the showground was perfect setting for such an event. Unfortunately the great British weather had different ideas! The press day was cut short due to high winds and downpours and the following days were are mixture of rain and sunshine. We were determined not to let the weather spoil our day so we donned our wellies and weatherproofs and made our way to the show. It's hard to know where to start as the show is so big. 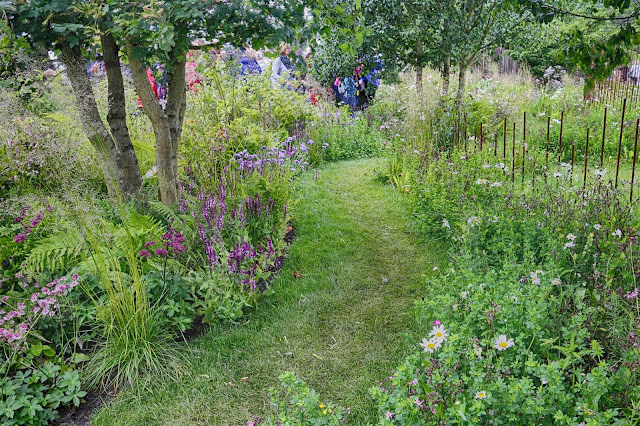 There are a small selection of judged show gardens but also a number of 'FreeForm' gardens. The FreeForm gardens in a RHS Show is a new idea with the designers having no brief to work to. 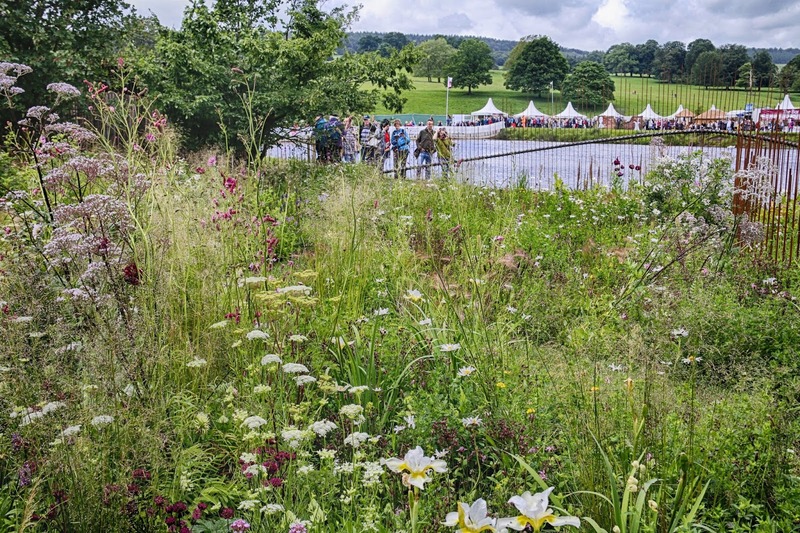 Visitors could vote for their favourite garden but the RHS judges stayed well away. Our favourite of the FreeForm gardens was The Brewin Dolphin Garden designed by Jo Thompson. It had a lovely naturalistic planting theme set by its siting next to the river. The shape of the river was mirrored in the steel bars rooted into the ground. I'm not usually keen on grasses but the varieties used in this garden worked really went. There was also some stunning purple poppies. We thought the Moveable Feast Garden by Tanya Batkin was a very clever idea. More and more people are now renting their homes rather than buying and literally laying down roots. Just because a person is renting doesn't mean they don't want to grow plants, fruits and vegetables. Everything in the garden could be transported if needed and moved around the garden as the planters had castors on them. I could see this idea appealing to other people as well who want a flexible space or don't want to be digging and weeding. There were two floral marquees full of specialist growers. The displays were amazing and you could buy many of the varieties of plants that were on show. 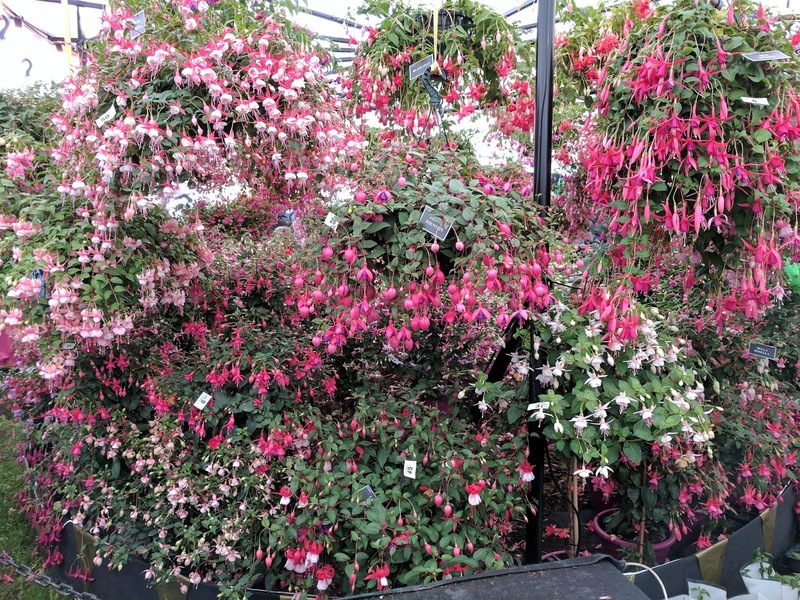 We were very restrained and only came home with fuchsias – three of them though! 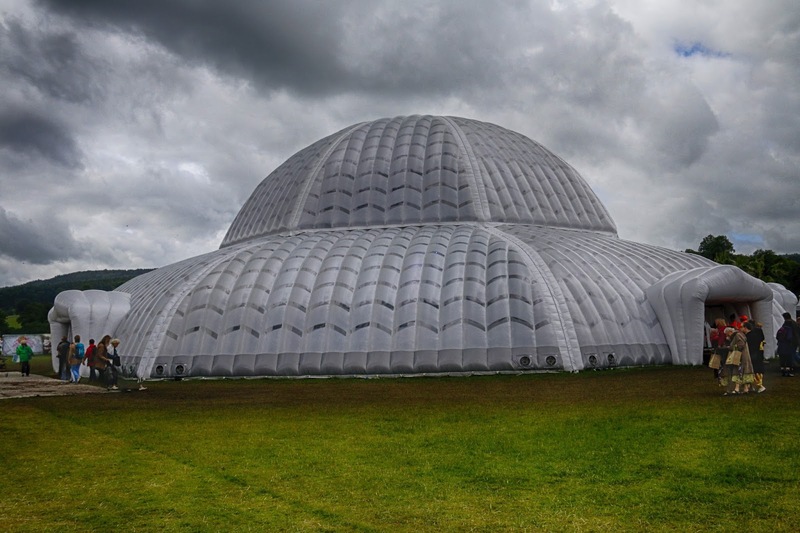 One of the most talked about features was the giant inflatable dome inspired by the Great Conservatory that once stood in the gardens at Chatsworth. The original conservatory was designed by Joseph Paxton and completed in 1841. At the time it was the largest glass building in the world. It was demolished in 1920 after falling out of use during World War I. 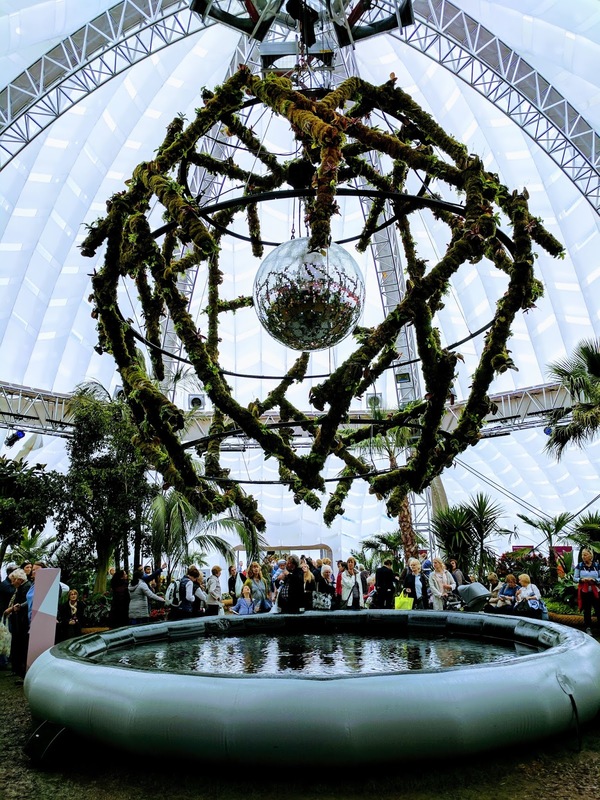 The 2017 incarnation of the Great Conservatory told the story of the 'Chatsworth Banana' and contained a hanging installation which contained water misters to keep the humidity at the right level. One thing that garden shows are great for is the inspiration and ideas you can pick up. It's not just about the big, professionally designed gardens but also the trade stalls. Each of the stalls are rated out of five stars so there's a great incentive to come up with a standout display. We were particularly taken by the greenhouse companies. 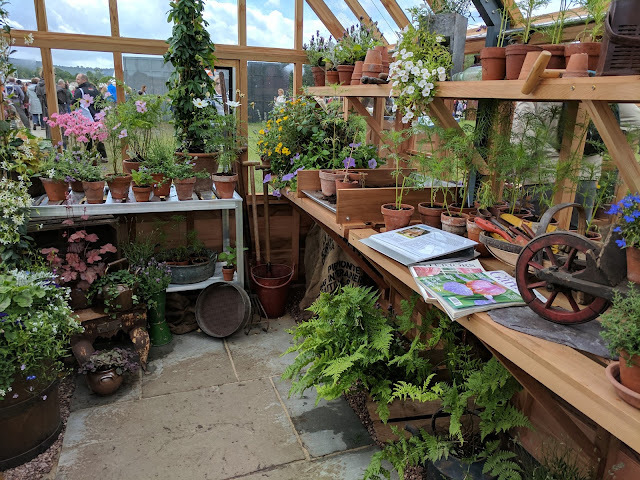 When you look at greenhouses at garden centres they are completely empty inside but all of these ones were full of delights. Would we go back again? 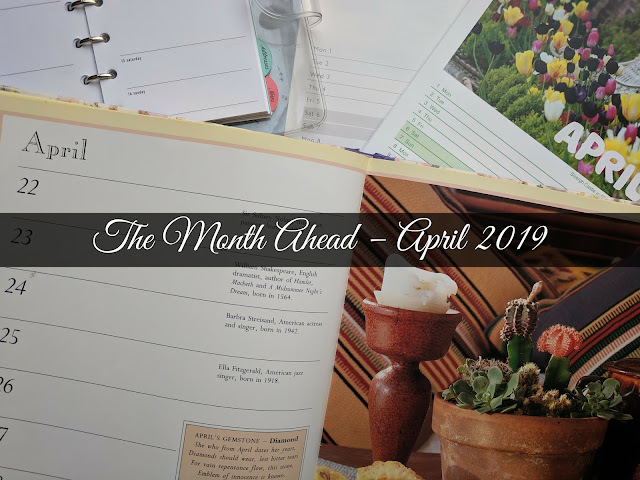 Most certainly and on the way home we were discussing our garden show visiting plans for next year.